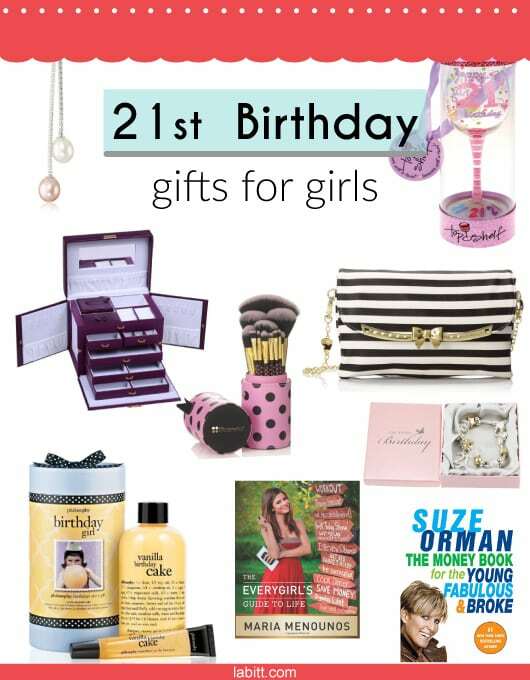 Looking for 21st birthday gifts for girls? Here, we have a list of 7 nice gift ideas for her who is turning 21. These ideas are cool and practical. The birthday girl gonna like it for sure! Pretty handbag for the young lady. 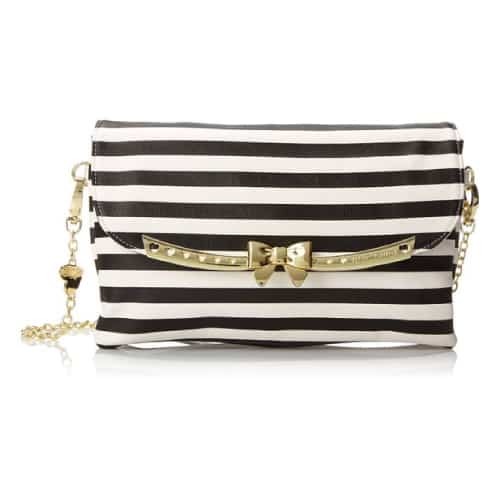 Black and white stripes, with golden chain strap. By Betsey Johnson. This bag has charming heart details and sweet bow in the middle. Features one main compartment with magnetic snap closure, one interior zipper pocket and two slip pockets. Stylish bag perfect for girls in their twenties. She is finally turning 21. Welcome her to the legal drinking age with this cute wine glass. Hand painted with various martini and wine glasses. It reads “happy 21st birthday”. Colorful and fun. Makes one of the best 21st birthday gifts for girls. A fantastic jewelry box loved by girls of all ages. Nice-looking, durable and functional. 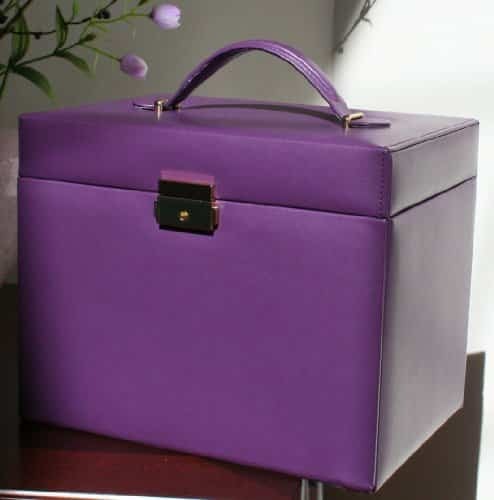 It can be opened up to many compartments to keep all your gems and treasures in one place. 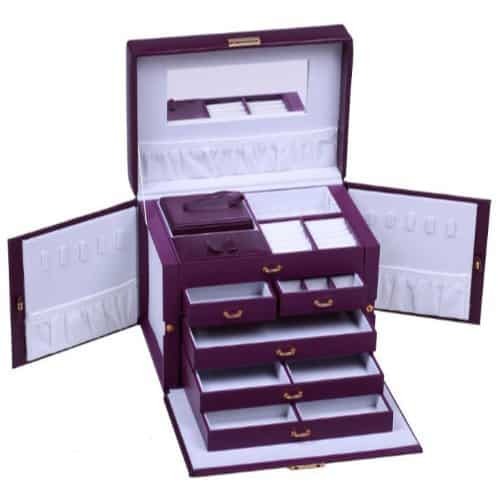 Features 5 slide out drawers, 20 compartments, 10 necklace hooks, 3 large storage pouches, twin fold-out side compartments with snap closures. Luxury skincare or body care also makes a wonderful gift for her. She will love this Philosophy Birthday Girl Gift Set. Packed in a beautiful gift box, it contains a 3-in-1 shower gel and a lip gloss. The shower gel is extra rich and creamy, while the lip gloss is moisturizing. Both are “baked” with delighting vanilla birthday cake scent. You can also get her some makeup products like eyeshadow palette, lipstick, and blush. If you are not sure what color she likes, makeup brush set is another decent choice. 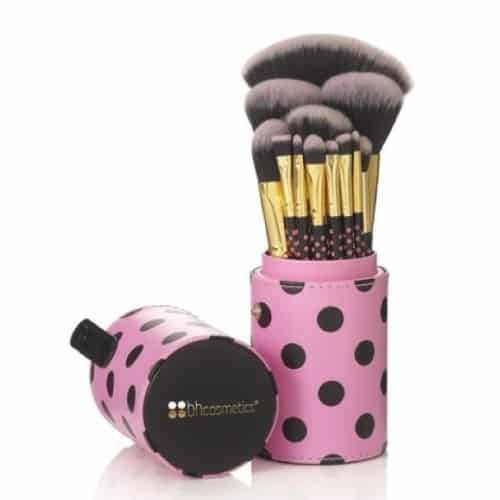 We recommend this set of polka dotted makeup brush set. Set of 11 brushes for eyes, face, cheeks and lip. The bristles of the brushes are soft and they pick up makeup product with ease. The brush set comes with a matching cylindrical hard case. It is great for storage and convenient for travel. For her 21st birthday, you can get her this gorgeous pearl necklace. Simple and elegant style. 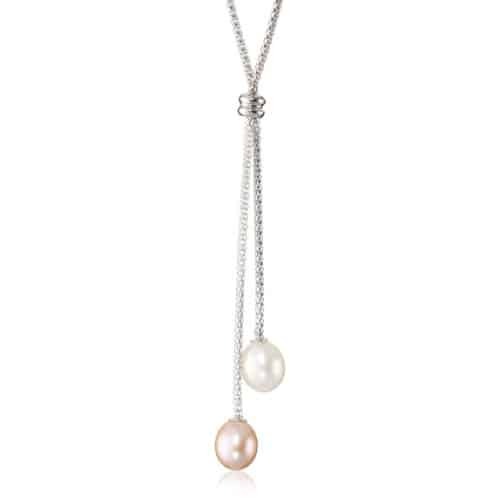 Two lustrous pearls dangling from a silver popcorn chain. It looks classy and feminine. Perfect for dressy outfits. Another beautiful jewelry for girls. Silver plated bracelet with many sparkly charms. Includes the number twenty one, hearts, stars, glass beads and many more intricately designed moulds. A lovely charm bracelet that girls will adore for sure. A helpful book written by girl for girls. This book guides you on how to juggle between busy works while staying fabulous and healthy. Get tips on how to get organized, finding romance, getting professional, delicious recipes and more in this book. 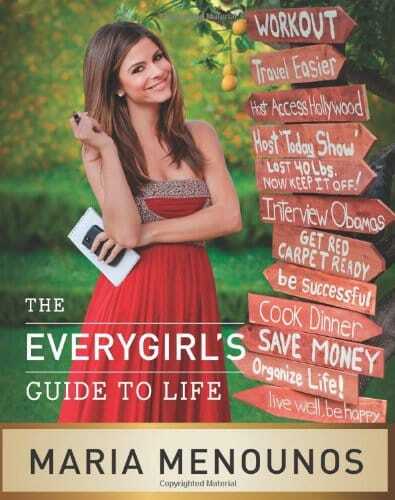 Written by Hollywood host Maria Menounos. This book is motivating and empowering. It helps make a girl’s life better, happier and more efficient. Another good read for young adult. 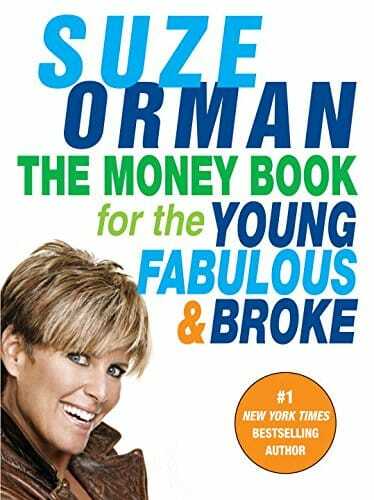 An informative financial guide written by financial expert Suze Orman. This book talks about practical investing and money management techniques. Topics like credit card debt, student loans, credit scores, insurance facts and more money matters are discussed in this book. A must-read money management book for those who are in their twenties and thirties. That’s the list of seven great 21st Birthday Gifts for Girls. Thanks for reading!